Please don't get me wrong. These are beautifully made and do exactly what they are supposed to do - Light Chasing and Crystalizing. 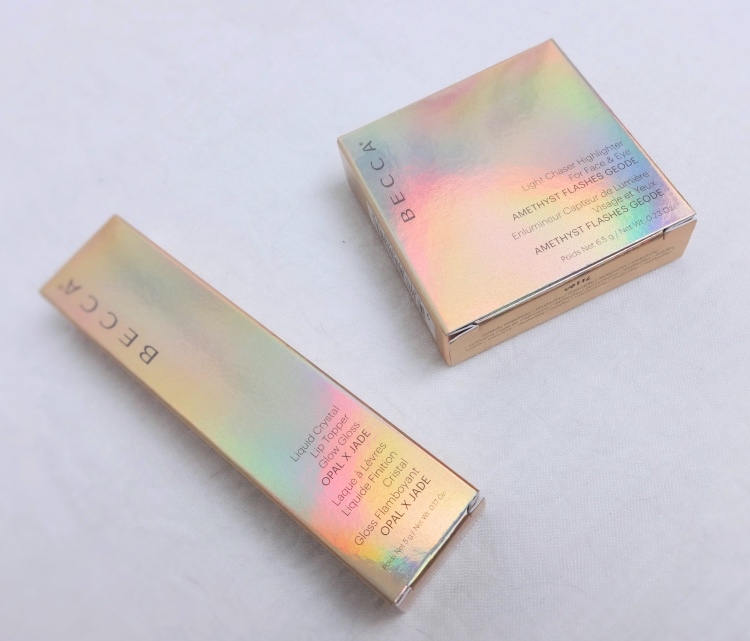 According to Becca, Light Chaser Highlighter is "a kaleidoscopic highlighter that can create unprecedented colour dimension when struck by the light". 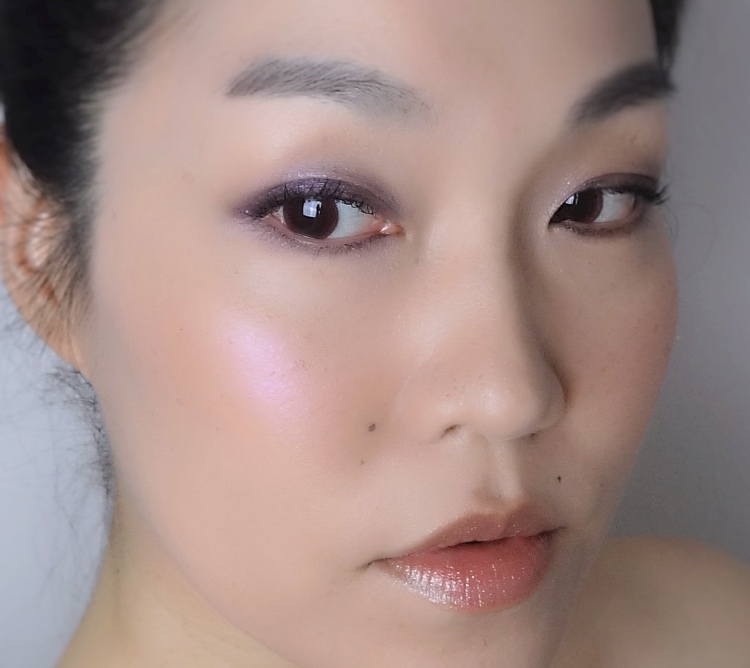 I read it as "multi-use eye/cheek color with infused highlighter" and chose Amethyst Flashes Geode because it looked pinkiest out of 6 limited edition colors offered. 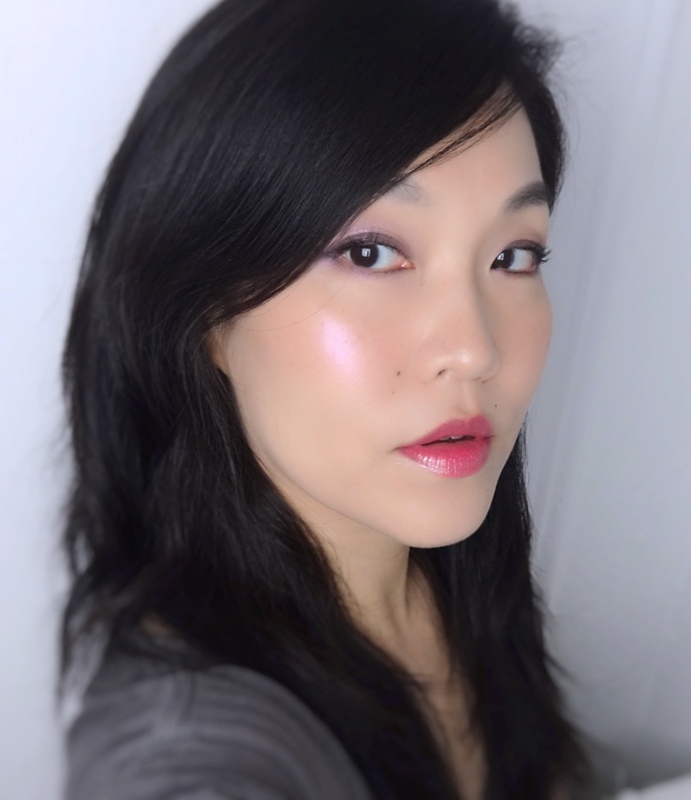 Amethyst Flashes Geode is lovely used either way, but I think I prefer to wear it as a blush. The color looks like a slightly warm shimmery mauvy pink in real life but does appear more of an amethyst when photographed. This is a great summer color that goes with pretty much everything, but it is the kind that makes people wonder, "what is she wearing?" The subtle color transformation is rather brilliant. 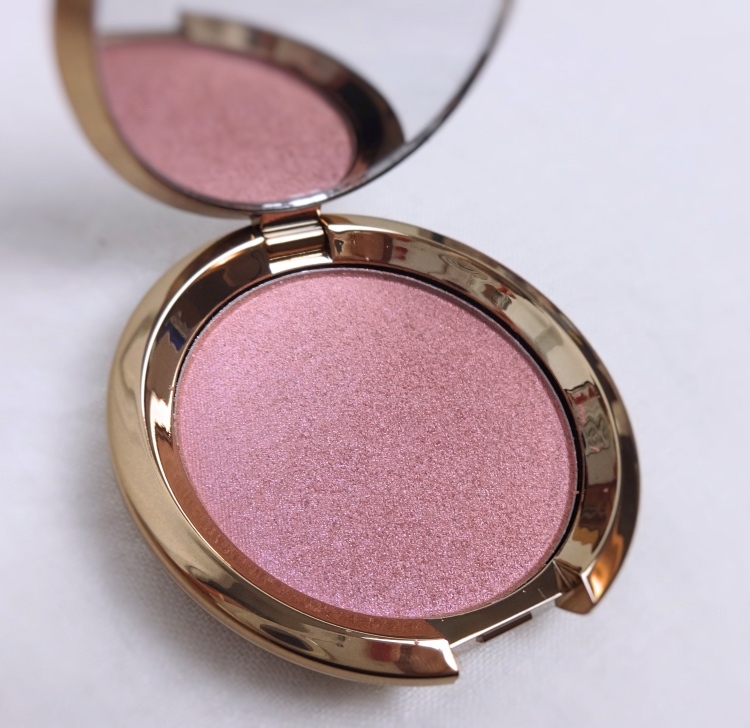 As an eyeshadow, it is a pretty all-over color that I can easily pair with a darker creme base. Amethyst Flashes Geode coordinates beautifully with my other favorite from Becca, Prismatic Amethyst. Opal & Jade is pretty as heck from the tube and I was so sure that the pinky base would be more pronounced on my lips. Nope. The green shimmer is so dense that it kind of washes me out if I wear this alone (it reminds me of Urban Decay Solstice eyeshadow in a way). 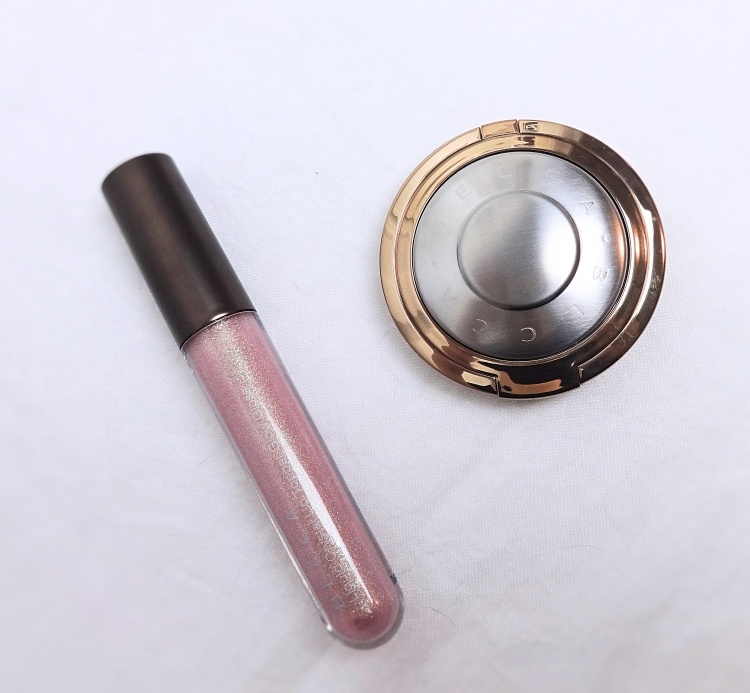 It does a great job muting a bright lip color and adding shimmer and glitz to the lips, but I do wish the base was more pigmented and contained less shimmer. 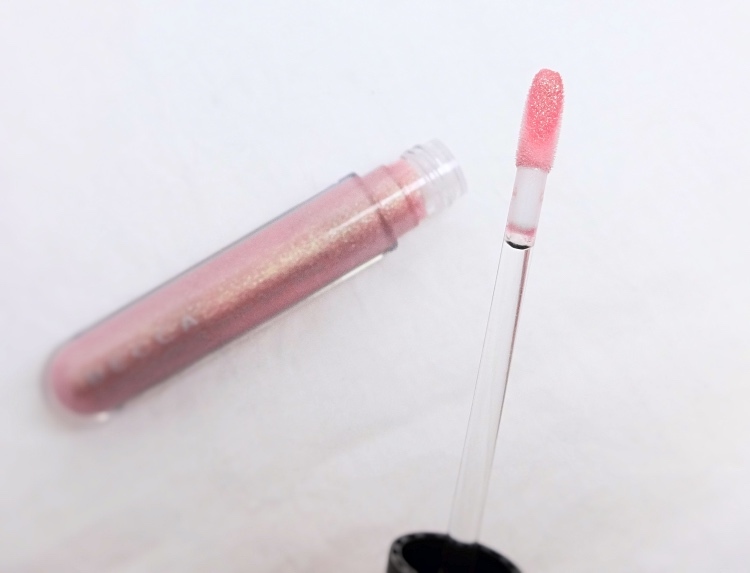 If you have pigmented lips, you might enjoy this glitzy formula more. The lip gloss smells like coconut vanilla and has a nice thick consistency. Despite the minor disappointment, I have been wearing these quite often. Here are a few looks. 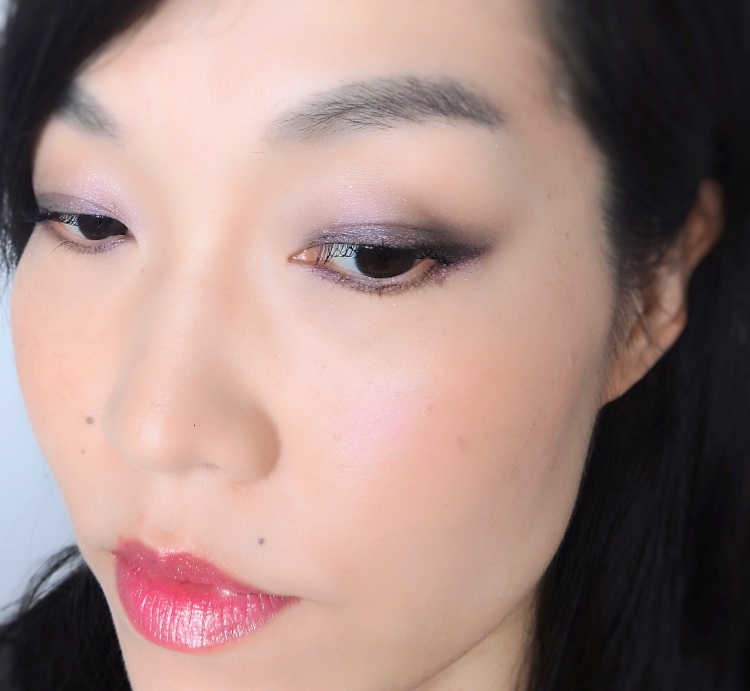 On the eyes, I based the lid space with a pencil eyeshadow then blended out using the Becca, which was also worn on my cheeks. I applied a bright cherry pink gel tint on my lips then applied the Liquid Crystal Glow Gloss on top. Overall look - you can see the amethyst glow in action here. Here is another look that is much similar except for the lips. I am wearing the gloss alone on the lips. It photographs nicely but looks a bit pale in person. 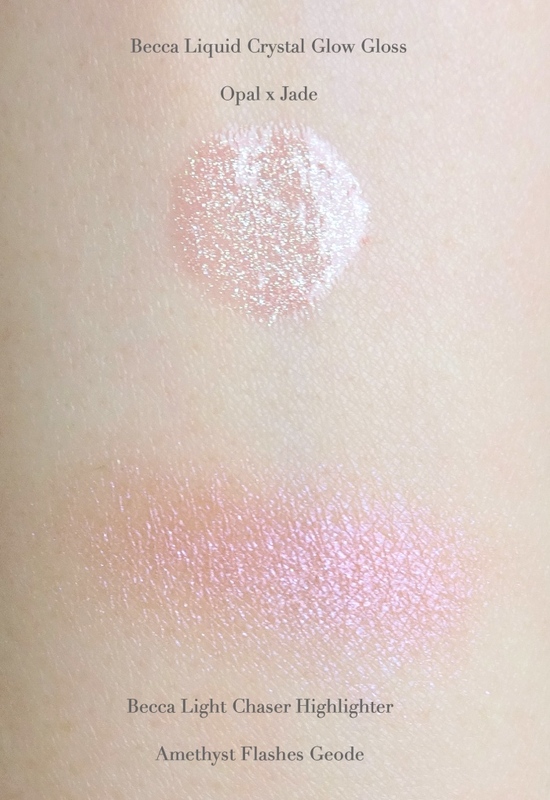 I hope these swatches and photos are helpful since they both color-shift quite a bit. I don't think I'd get more of the gloss but would be interested in trying a few more Light Chaser Highlighters. Oh! I think that makes an absolutely lovely blush. I have an old VOV blush that has a similar sort of purple sheen on a pinky magenta base. It looks great on you, the way it hits the light! Thanks, Mimi! :) I was surprised myself when I saw the pics because the color is way more purple than from the pan. It still looks very natural but definitely a unique color that I have. So glowy!! I love how the blush looks. The gloss looks beautiful too, Lena. 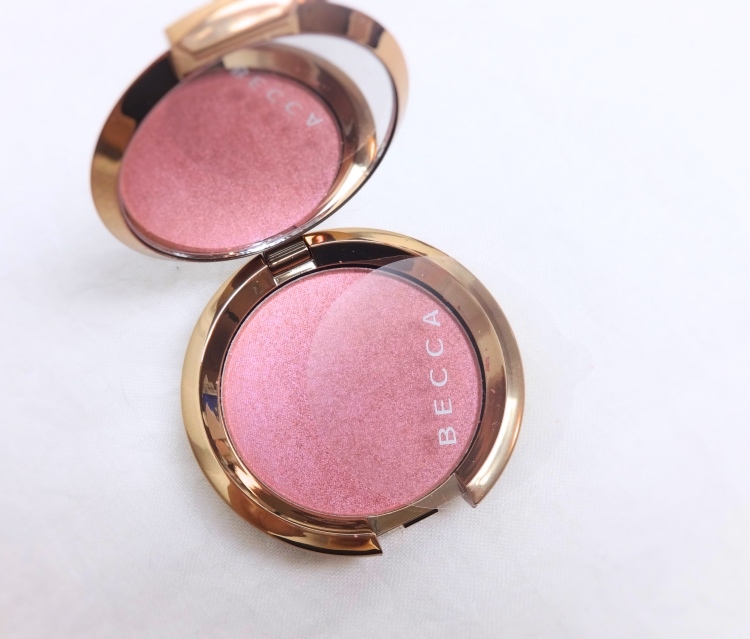 The shimmers definitely add dimension to the face *love*! Ahh,it's actually quite obvious and unique!